• Ask to see copies of all the licensing and certifications required by the state agencies that regulate the program. • Does the program participate in any accreditation programs? • How warm and welcoming does the school feel? • How nurturing does the school staff seem to be? • Does it seem that staff/adults and children get along and feel comfortable with one another? • Do the children look happy? • Are staff members trained in CPR and first aid? • Learn the program’s illness and medication policy. Are the children required to have immunizations and regular health evaluations? Is there a hand washing policy in effect? • Does the facility have a monitored entrance, accessible emergency information and a child release policy? Investigate the programs policy on open-door parent visitation. Is there a check-in and check-out procedure? Find out how the center monitors newcomers, strangers or unauthorized people to pick up children. • What is the staff/teacher-to-child ratio? • Observe the teachers to see if they interact positively with the children. • Do they create a warm and secure environment? • Is there a balance of play and learning time, as well as group and individual activities? • Do the children have outdoor play? Look for a secured, fenced outdoor play area with age-appropriate supplies and equipment that encourage motor skills. • What does the school do when there is a behavior problem? • Do you feel comfortable with their approach? Be sure to speak to friends or other parents in your neighborhood or area – often times you can get the best information from the opinions of other parents whose judgment you trust – they may have had older children who attended various preschools and so have had firsthand experience. 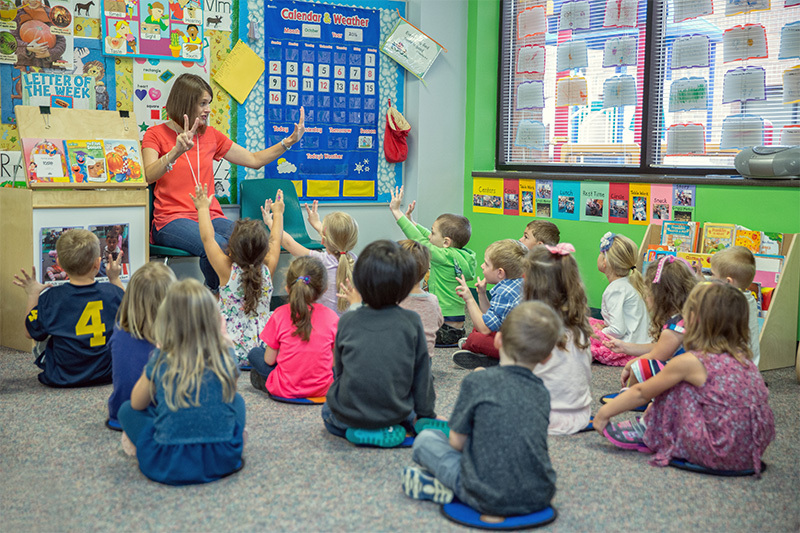 These 8 steps should help you with your decision in choosing an early childhood education program, but don’t forget that it’s important to “feel comfortable” with the program and the people who will be caring for your child. For parents, the bottom line is simple: Watch closely what’s happening in the classroom, pick a preschool that you wish you had gone to, and your child will do just fine. Source: Center for Parenting Education. This article originally appeared in the February issue of EAST COBBER, on page 27. Click here to view the digital edition. PreviousPublisher’s Note: We LOVE East Cobbers!